He is the last living member of his ancient species, which arose more than 400 million years ago. He can breathe both in air and underwater. And he doesn't want humans intruding on his habitat. He is “Gill-man,” a truly classic cinema character. Now you can become the fearsome, famous, amphibious humanoid with these Deluxe The Creature from the Black Lagoon Hands, not to mention a LOT of breath training work. 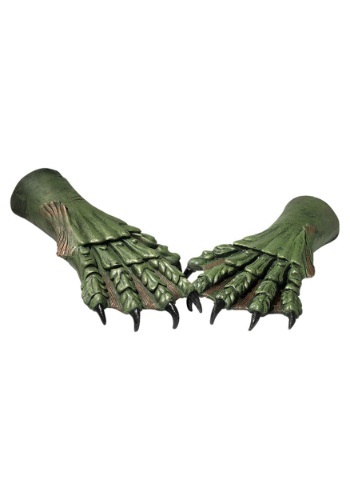 This rubber latex pair will help you look the part when you dress as the Creature this Halloween, not to mention, these claws are attached, so they can’t get caught in any ship’s net and give you away to a bunch of nosy scientists. Plus, they are webbed, so they will obviously help you with swimming, which is a must-master skill from any Creature from the Black Lagoon.